San Diego is a Military Town. There are many military bases in San Diego and many active duty military and their families living in San Diego. Many of the active duty military in San Diego end up staying in San Diego after their time is up in the military. Some of our real estate agents on the team are Veterans and Realtors and we all love working with active duty and veterans. San Diego is also packed with veterans of all branches of the armed forces like; Navy, Marines, Army, Air Force, National Guard and Coast Guard. Most of the active duty military in San Diego are Marines and Sailors due to the many Navy and Marine Bases in the County. The VA Home Loan is one of the best loans out there. I’ve used the VA Loan to purchase several homes over the years and because our team has helped so many active duty and veterans in San Diego we can recommend you one of our preferred lenders that specialize in VA Home Loans. We work side by side securing your new home or condo. Some great things about the VA Loan is that you are not required to put any money down when purchasing and we can ask the seller to pay for your closing costs when you buy your new home. Essentially no money out of pocket for you. There is also no PMI, Private Mortgage Insurance, on a VA Loan which can save you several hundred dollars per month. Depending on which base your stationed at you will have many choices of great places to live. If you’re relocating to San Diego to be stationed at one of the many bases here then please contact us as soon as you can so we can discuss what type of property you would like and what communities are close to the base that you’re going to be stationed at. We can give you some really good and invaluable advice. We’re San Diego Real Estate Experts so we can really help you answering questions about San Diego Communities and San Diego Real Estate. Active Duty Military and Veterans looking for a good VA Real Estate Team? Contact The Lewis Team. 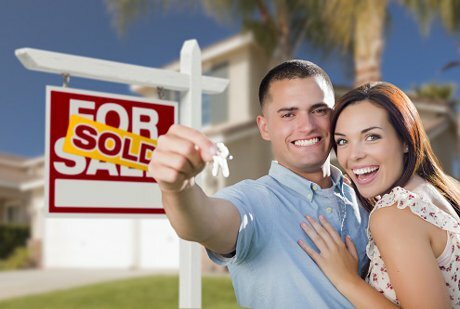 Your San Diego Military and Veteran Real Estate Agents. Are you ready to start your home buying process? Call me at 619-656-0655 we would love to help.